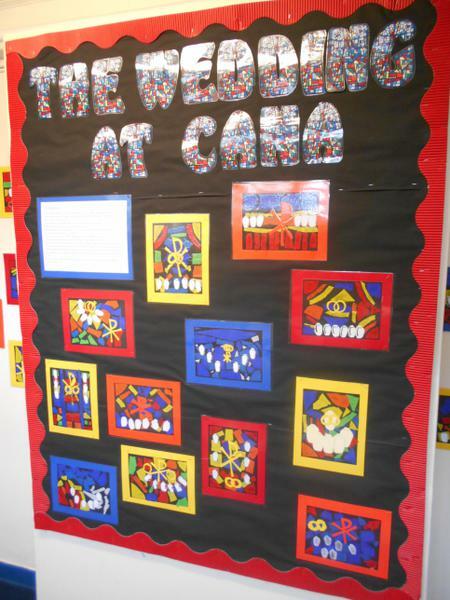 In October 2017, the school's provision of Catholic Education and the Catholic Life of the school was inspected by the Diocese. To read the report, please click here. Our newly appointed Mini Vinnies meet regularly each term to help to further develop the positive impact that they have made on the Catholic life of the school. The Society of St Vincent de Paul has been engaging with young people and education for many years, which can be highlighted through the development of the 'Mini Vinnie' programme. Mini Vinnies are seen as having, "the potential to significantly contribute to the future of our Society." This aim also fits in perfectly with the key principles of Catholic Social Teaching which we are teaching at Our Lady Catholic Primary School. Our Mini Vinnies, who are represented by pupils in Years 5, were officially elected in October 2018. They were presented with their own 'treasured' Prayer, Pledge and Badge in our initiation ceremony. Throughout the month of May and October, we begin each day with a reflection on one of the Mysteries of the Rosary followed by prayers dedicated to Mary, our Mother. We also run a lunchtime Rosary club for the children to take part in. We are lucky enough to be situated very closely to Our Lady, Queen of Apostles Church and the parish priest, Fr. Norbert, regularly visits our school. We also come together as a community in the church as mass and through the Stations of the Cross. 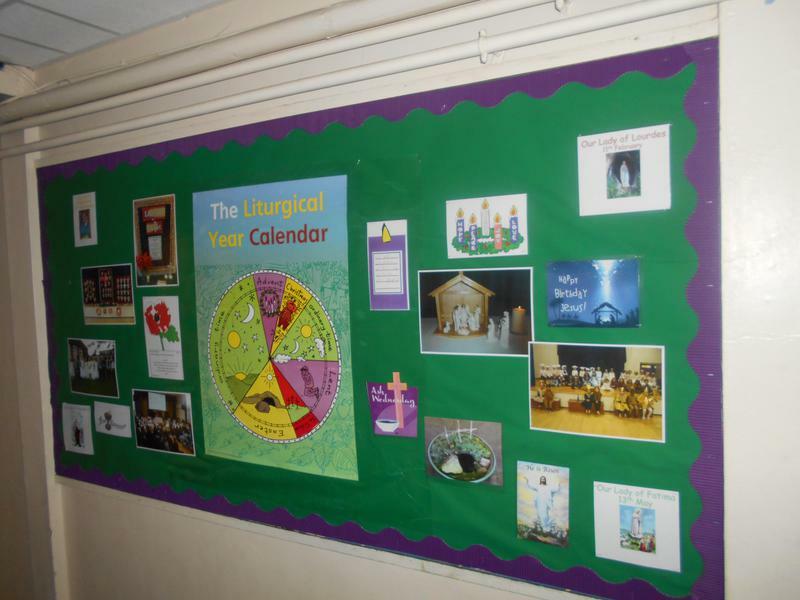 We mark special liturgical celebrations in the Church's calendar such as Holy Week, Easter, Advent and Christmas. After the children receive their First Holy Communion, we hold a celebratory mass at school. During May and October, we focus our prayers and devotions on the Blessed Virgin Mary. We mark this in a number of ways. 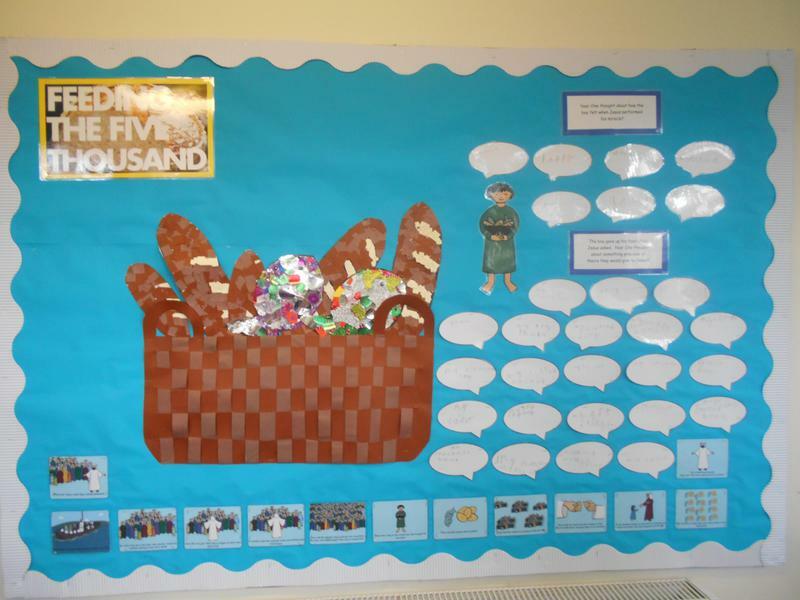 We begin each day in the school hall with a reflection of one of the Mysteries of the Rosary. The Mysteries of the Rosary are designed to help focus our prayers on the life, ministry, and Passion of Our Lord. 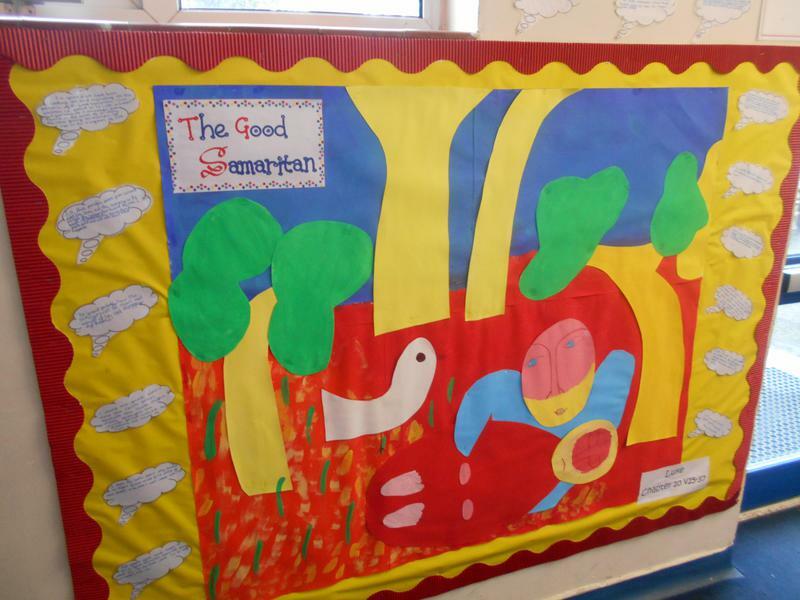 We would like to invite parents, carers and other members of the school community to join the staff and children each morning in the hall at 8.40am. During lunchtime, staff will lead the children in praying a decade of the rosary. 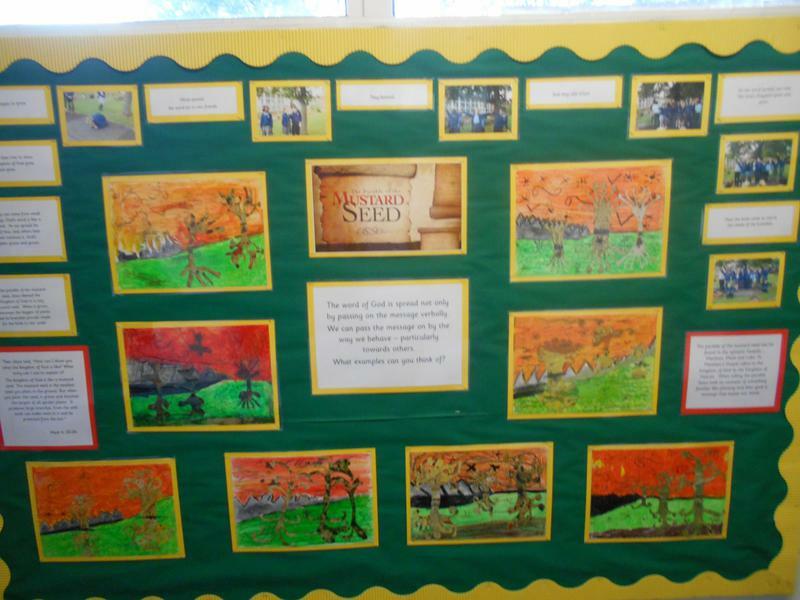 Children will have the opportunity of attending these prayer sessions each day and reflecting further on each Mystery. We are also encouraging children to bring in a set of rosary beads to assist in their prayer. During May, we will also celebrate the Crowning of Mary in our Parish Church. We ask all members of the school community to bring in flowers to help create the crown and we process from the school playground to the church. We encourage all parents and carers to share in these Marian devotions with the school and at home, for example, by saying a decade of the rosary together as a family. Every Monday afternoon, Mr. Curry leads the whole school assembly, which is based on the Gospel reading for that week. Friday afternoon is a special time for celebrating children's achievements in our awards assembly which parents are warmly invited attend. 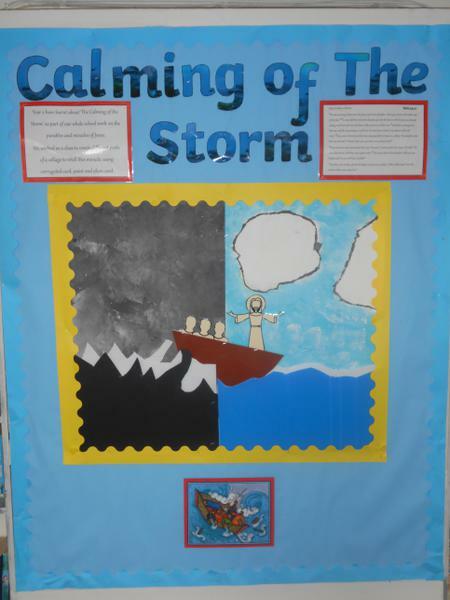 We have continued to embed the key principles of Catholic Social Teaching (CST) into the ethos of our school. CST is based on the belief that God has a plan for creation, a plan to build his kingdom of peace, love and justice. It holds that God has a special place in this story for each of us, whoever we are. Our part in this plan is not just limited to things ‘spiritual’, or things we might do on Sundays, but that it involves every aspect of our lives, from the things we pray about, to how we live as responsible global citizens. As part of our Catholic Social Teaching, we believe it is important to support people in need throughout the world. In the last year, we have raised money for CAFOD, Red Nose Day and Save the Children (to name but a few). Our local community is also important to us. Each Christmas, our choir sings in the local residential home and delivers mince pies. Please click here to download a copy of the latest Parish Newsletter from Our Lady, Queen of Apostles. Fr Norbert held a range of services, including Mass to explain the presentation of Our Lord to the children. The children will receive Bibles next week as a gift from the charity "Bibles for Children", which will be kept in school. Y3 visited Our Lady's Church, Fr Norbert went through the whole Baptism service with the children. A huge thank you to Fr Norbert, the staff, pupils and parents for making Education Sunday Mass a huge success. We welcomed Fr Tom Montgomery to Our Lady's school this morning and he visited all the classes.